Проезд: троллейбус № 9,12, скоростной трамвай остановка "Мамаев курган", автобус № 95. Общежитие № 1- секционного типа. В каждой секции по 3-4 жилые комнаты на 2 или 3 человека. Здесь же располагается умывальня, душевая и туалет, кухня на этаже. We provide a guarantee of accommodation placement at University hostel to all international students. 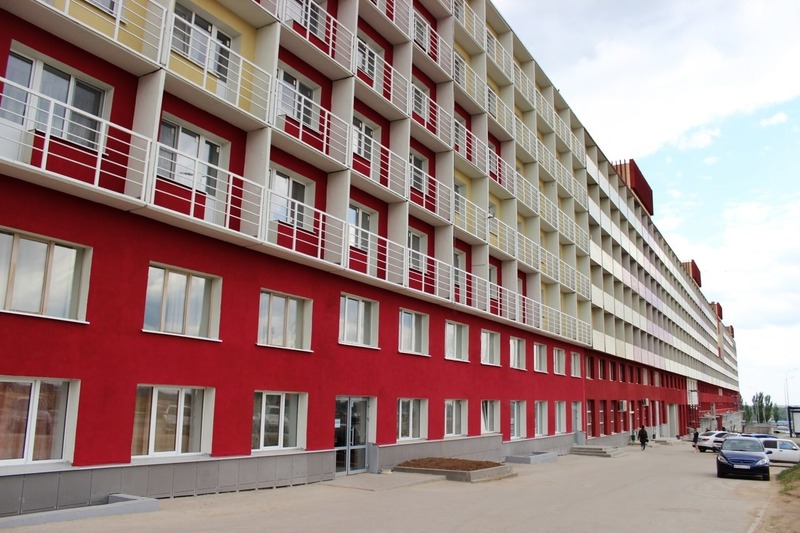 The hostel is located near the University (10 minutes by tram), near the most famous memorial complex of Russia Mamev Kurgan. The hostel is supplied with cold and hot water and central heating system.All hostel rooms are furnished and vary in size and number of conveniences. Dormitory rooms at university hostels can accommodate 2 or 3 students for each room. All rooms are equipped with bed, mattress, pillow, blanket, desk, chair and suitable lighting for both study and relaxation.Toilets and showering facilities are often in different rooms from the sleeping quarters, and these are shared (for 8-10 students). In the hostel is equipped with kitchen provided for students to cook food to their own taste. All hostel students must strictly follow the hostel rules and regulations that are in force from time to time.